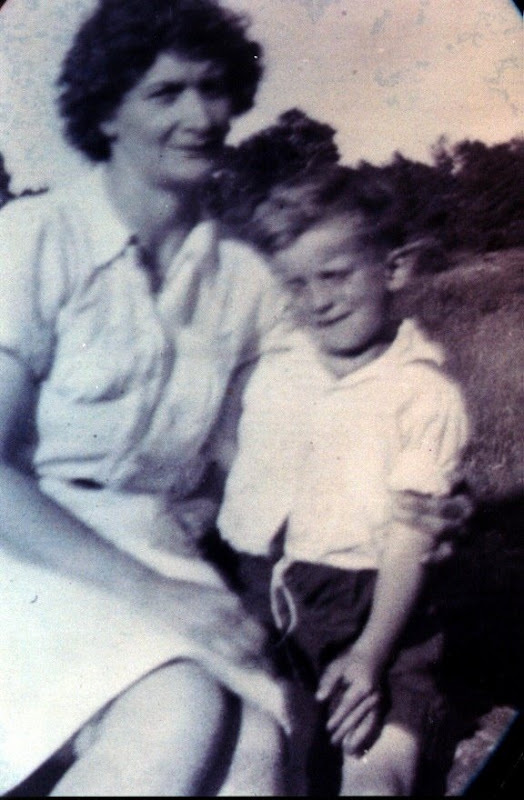 The death of her husband at noon on the 2nd of June 1937 was a harsh blow to my great-grandmother, Susan MacLeod. But if she thought that day couldn’t possibly get any worse, she was wrong. After the funeral, Father MacGillivray showed up at the door of her small apartment on Intercolonial Street with two nuns and several large paper bags. The death of John Rory MacLeod meant Susan was left to care for not only the several children they’d had together, but also John R’s two children from his first marriage (though the elder of the two, Donald, was in his teens and just about ready to fend for himself) and Big Jim, the mentally-challenged brother of John R’s late first wife. To top it off, Susan was heavily pregnant. Suddenly she was left to care for a double-digit family all by herself. They belong to the Church. The words reverberated in Susan’s head like heavy rocks thrown down a dry stone well. As she stood there trying to come to terms with what was happening, the two nuns went around the apartment stuffing whatever items of children’s clothing they could find into the paper bags. Big grocery bags, with handles. They belong to the Church. Susan, daughter of a fishing boat captain from Fogo Island, Newfoundland, was Anglican like her father, and had never become Catholic. The Church had permitted John R to marry her, but she’d had to sign papers guaranteeing their children would be raised Catholic. Now that John R was gone, the Church wasn’t going to leave anything to chance. Father MacGillivray was about to put up a fight. How could she possibly ensure the children would be brought up as good Catholics? Would she actually take them to church? How did she expect to care for such a large family by herself anyway? How could she? How could she? Those children belonged to the Church! Maybe it was the look in her eye. Maybe it was her stance. Maybe Father MacGillivray knew the motto of Clan MacLeod was ‘Hold Fast’. Whatever it was, he could tell she was serious. He walked past her and out through the door, followed closely behind by the two nuns, who still hadn’t spoken a word. Their brown paper bags, the big ones with the handles, were empty again. Before Susan could close the door, Father MacGillivray turned to face her. He made good on that promise. Father MacGillivray and the two nuns came back on more than one occasion. Each time, Susan would send the children running off in every direction. Father MacGillivray never got any of them. Susan MacLeod held fast. When Susan MacLeod gave birth to her youngest child, Jackie, mere weeks after her husband’s death, she knew she was in real trouble. She had managed to prevent the Church from taking her children away, but knew she couldn’t keep that up for long. Her relatives could help out, but they could only do so much. She needed help. Susan’s brother-in-law, Donald Ignecious MacLeod, known to all as Dan, stepped in to help. He and his wife Maggie agreed to take Susan’s two eldest boys, Duncan and Hughie, for the summer. Susan MacLeod struggled and suffered great hardship, with the family never far from excruciating poverty, and sometimes neck-deep in it. But Susan raised her children. She held fast. Ironically, years later, she became Catholic. She never wavered from her determination to protect her children, though, right till the end. For Susan MacLeod, the end came on Saint Patrick’s Day, 1968. She was crossing Prince Street when she was hit by a drunk driver. The force of the impact killed her instantly and threw her from one corner to another. The driver of the car, a prominent local politician, was never punished. The end of her life was tragic, just like that of her husband. But while she was alive she was not only a great mother to her children, but a shining example of quiet determination, of tenacity in the face of adversity. I’m glad Susan MacLeod held fast. And I’m glad she sent her two eldest sons, Duncan and Hughie, up to Glencoe that summer after John R died. That was the start of an annual tradition of sorts, one which provided my grandfather — and me — with lots of great stories. In fact, the story of my grandfather’s first trip to that side of the island is one of my favourites.